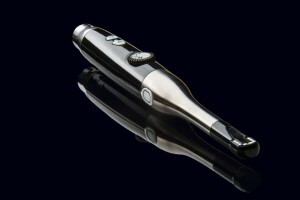 Intraoral cameras are tiny digital cameras that fit comfortably in your mouth. They enable Dr. Lamberton to show you an enlarged image of your smile on a computer screen. Not only does this help during diagnosis with clearly defined images that show details that may be missed by standard mirror examinations, it can also be an educational tool, allowing you see the inside of your mouth and confront problems or review procedures as they progress. Lastly, if necessary, your dentist can share these photos with a dental lab working on your restoration to match the shades of your teeth perfectly. You can see before and after pictures of our own cases in our Smile Gallery. Dr. Lamberton provides the most thorough and effective dental treatment with the advanced technology of the intraoral camera, helping to create and maintain the Napa Valley’s most beautiful smiles.